Life after 5 PM usually involves a handful of women circumventing a bar table cascaded with a half-dozen martinis. We would love to serve you the same intoxicating effects with a twist. We’re taking happy hour from the bar to the spa with six different ingredients. Here’s a dash of spa treatments to put on your calendar, inspired by the happy hour. Champagne toast! Celebrate with bubbly, not just because it’s fancy. The fizz helps close pores, making the skin tight, firm and glowing—a natural toner. Worried about the alcohol being bad for your skin? Champagne actually contains less alcohol than most store-bought toners. Raise a glass of red or white! A calming glass of wine can be the perfect stress releasing remedy after a long day. Just imagine those effects applied to a spa treatment. Pure relaxation. The grape mixtures in vinotherapy assist in soothing the skin and helps to slow down the aging process. Plus in moderation, wine can be good for you. A glass a day has been shown to reduce the risk of heart disease and slow the progression of certain cancers. Happy hour like The Queen – Think high tea. 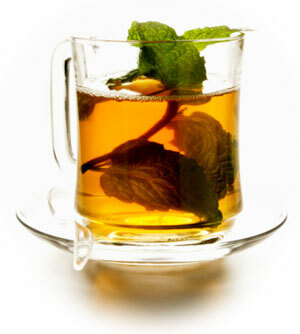 Green tea has been incorporated into healing remedies in Asia for centuries. It is naturally rich with antioxidants which help the body protect from free radicals, whether you’re sipping or slathering it on. Her highness would approve. Venti Spa Latte? Why certainly, and it won’t even keep you up all night. Coffee has a variety of applications in the spa. Caffeine from coffee is a blood vessel constrictor, so it helps people with rosacea, reduces dark eye circles and puffy eyes. Coffee is also used in a lot of anti-cellulite creams because, well, have you ever had cottage cheese with your frapp? Milk and honey baths… Cleopatra was onto something. The hydrating properties of milk really do a body good, applied on the outside too. Milk promotes moisture and prevents dryness. The Lactic acid in milk helps to cleanse the skin gently down to its deepest layers. Cocktail Specials. If it sounds like a girly martini, chances are it’s a spa treatment too. Who knew alcohol could be a good buzz for the skin? Alcohol acts as an antiseptic and works to exfoliate dead skin, and sugar is one of the best natural exfoliants we know.